With a view to preserving the environment and biodiversity, the Sicarappam has adopted for many years now, an approach which places a great deal of importance on quality. 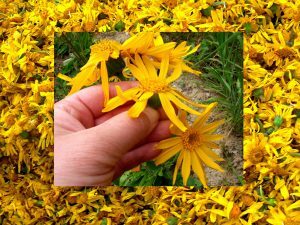 Consequently, wild plants are gathered according to stringent rules drawn up thanks to the experience and botanical knowledge of members and other people involved in the industry. Our gatherers respect the legislation and guidelines laid down by recognized bodies such as the “liste rouge des espèces menaces en France”, (The Red List of Threatened Species in France). 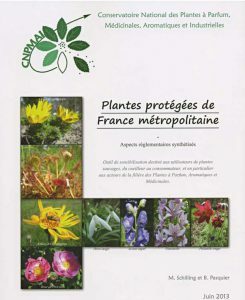 They also work with the guide entitled “Plantes protégées de France métropolitaine” about protected plant species in France. 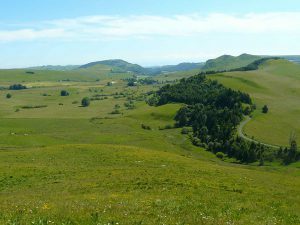 In partnership with the DREAL Auvergne, the regional organisation responsible for the environment and housing, and the Conservatoire National Botanique du Massif Central, the Sicarappam has organised a training course about protected species and natural open spaces. Our gatherers manage their gathering sites sustainably. They earn their living from this activity and it is therefore in their interest to maintain production on sites and also to find the same plants, or even a greater diversity of plants, there the following year. Our gatherers request permission to gather from land owners. They often work in collaboration with the ONF (French Forestry Commission) that manages natural open spaces. As well as adopting this “quality-driven” approach, the Sicarappam and its producers grow certified organic plants that are wild, rare, threatened or protected. Consequently the Cooperative is currently setting up trials to grow organic peony, cohosh, Rhodiola rosea (roseroot), white bryony, etc. and is now able to outsource the production of specific crops such as cotton thistle, Arnica montana* and gentian. In 2006 and 2007 a few members of the Sicarappam began conducting trials on the organic cultivation of gentian. 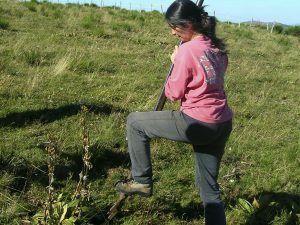 Such trials came under the theme of “Protection” in our project on the sustainable management of gentian resources, focusing mainly on the evaluation of wild sites. Given the large quantities that are gathered and the very long crop production cycle of this plant, it therefore seems useful to study it with the aim of preventing depletion. It isn’t a threatened species as yet. However the development of farming practices and the methods used for digging up the roots, mean that we must consider the renewal of this resource. Although the Sicarappam is behind this “protection” project, its wish, right from the beginning, was to involve partners working in the industry and relevant public authorities in order to achieve, through a collaborative approach, standardized management of resources. For this reason, this project is now led by the CPPARM, the Council for Perfume, Aromatic and Medicinal plants, bringing all those involved together. This project must also help to protect the livelihood of gentian gatherers which means that it must include the study of the social and economic aspects of their activity. – to promote and provide a showcase for the gentian plant and its derived products. The association has created a good practice guide for the cultivation of yellow gentian.